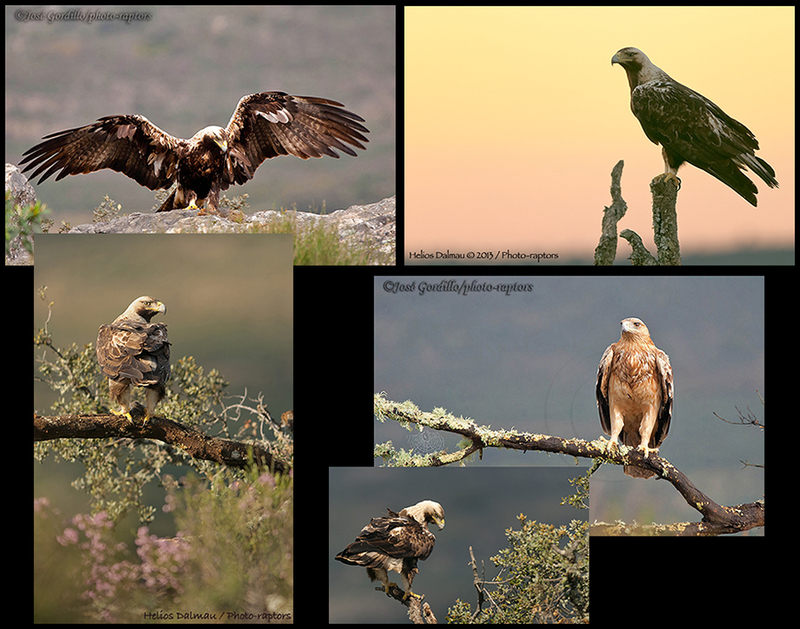 Two single hides to take pictures of Spanish imperial eagles. 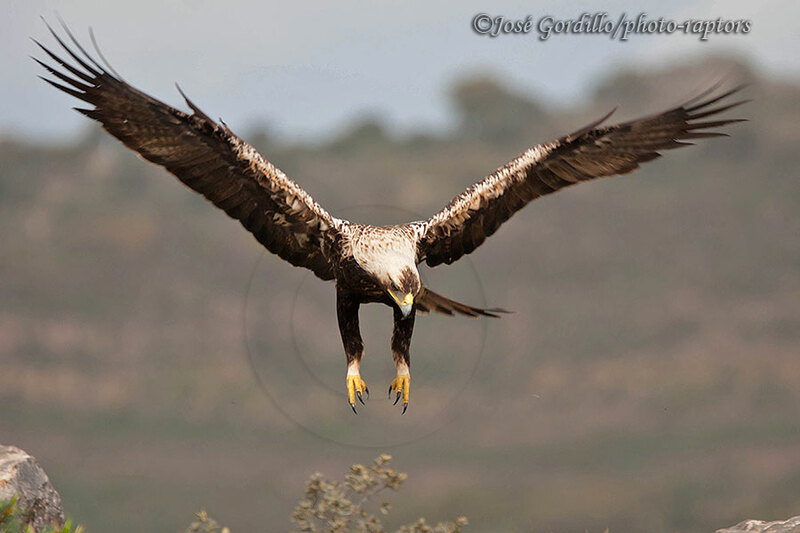 Both hides are in a hill top facing the Sierra de San Pedro, where an eagles couple comes to rest and eat over different perches. Price will include hide renting, conservation board licences and transfers from meeting point to hides and comeback. As wild animals, is not guaranteed the eagles appear flying or resting in front of the hides, although the probabilities are very high. 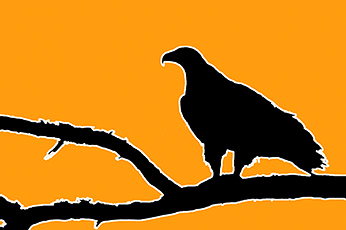 If the raptor doesn't comes, the customer will can repeat the session free on a next available day (at his convenience) or pay a less amount for expenses (60 €). Special rules and conditions: The pictures will be taken though a 4 mm. reflective glass window (60x40 cm wide), to observe our administrative license. In these hides, the customers must go in before sunrise and go out when all the food for the eagles has gone, always under the Photo-raptors staff orders. From August to March, the photo sessions usually end after lunch time - before 15:00. 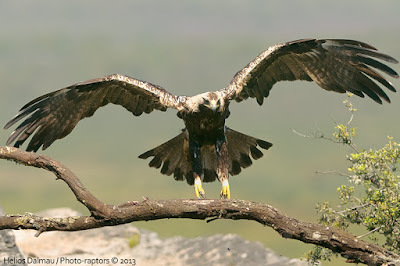 From April to July, the breeding season, it depends of the eagles behavior. 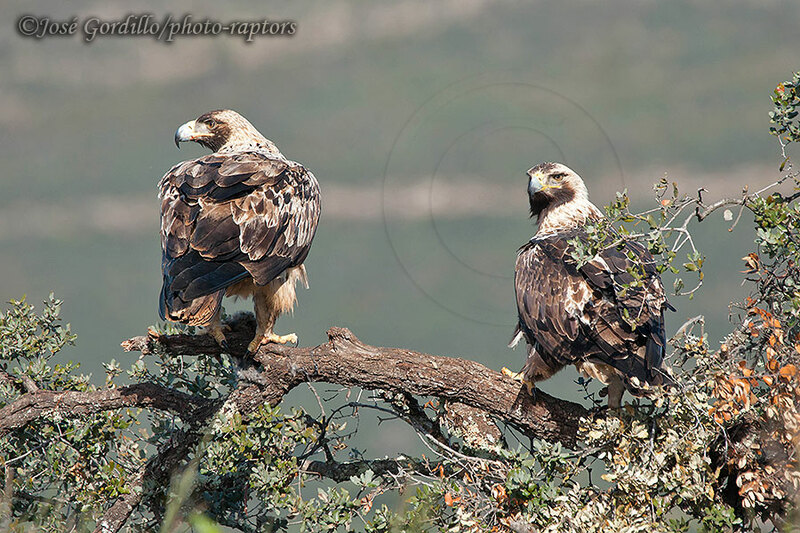 The Spanish imperial eagle couple who comes comprises an sub-adult male (with a transition to adult plumage) and an adult female. Watch the gallery with pictures taken by our guest from various hides. Its global range is restricted to the Iberian Peninsula, in the center and South-West of Spain with some intermittent couple in Portugal. The diverse and tenacious protection strategies managed by the Spanish and European environmental authorities and some campaigns launched by green organizations, have rescue it from imminent extinction in the early seventies and draw an hope ray in their slowly and gradual recovery. Today, still remains one of the world's rarest raptors. In the Sierra de San Pedro (Extremadura, Spain), the eagle of the white shoulders is the goddess of the Mediterranean forest and scrub. His shape flying over “dehesas” and oak hillsides is the wildest image of these lands. His deep and powerful claim gone by the wind, display it. This bird of prey is one of the most coveted by wildlife photographers.